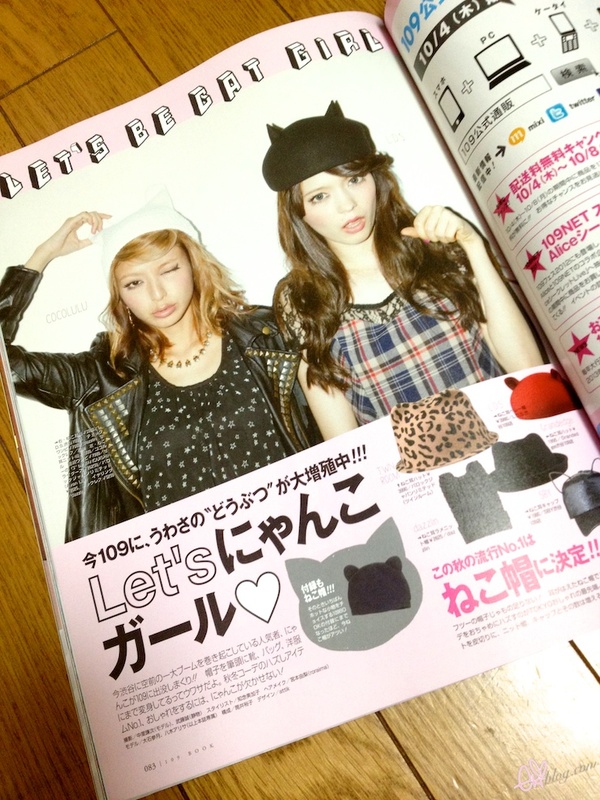 ekiBlog.com: Shibuya 109 Book + Cat ears hat giveaway! Shibuya 109 Book + Cat ears hat giveaway! please leave a comment "meow" to enter! I will randomly choose a winner! Meow!~ What an adorable hat! rubbing my pawwwsss and MEOW!!! This hat is so fricken adorable!! Meow! Meow meow meow meow meow! Meow! Seriously gotta order that mag, just because of Rola! These hats are cute indeed!! Haven't seen a beanie like this before. Super cute! Meow! So many cute items in the magazine, pity we don't have it here. Hope my birthday month will bring me luck! Those spreads are so cute. :') but the clothing still looks so cold for fall! OMG I WANT THAT BEANIE. Meow! I love this magazine! meow =] such a cute hat! nya nya~ I mean...meow! Those cat ballet flats look cute but I don't like the look of 'flat platforms'. I hope you know what I mean since I'm not sure of their proper name ^^"
Super kawaii! I love the cat trend! I love these new trends I've been seeing in hats and hairbands. meow :> what a cute hat! Meow! This is such a cute trend... thanks for sharing! oh my god oh my god, the hat is too cute ><.... where can buy this? The hat is so cute and it's a black cat; my favorite animal!!! Purrrr <3 <3 <3 love the hat! Meow! :3 Even matches my avi see?! Hehee, thank you so much! I love cats and this cat ears hat is so cute! Meow! Cat ears hat plzzzz..hehe. meow! That is one super cute hat! Btw, where did you bought that book? 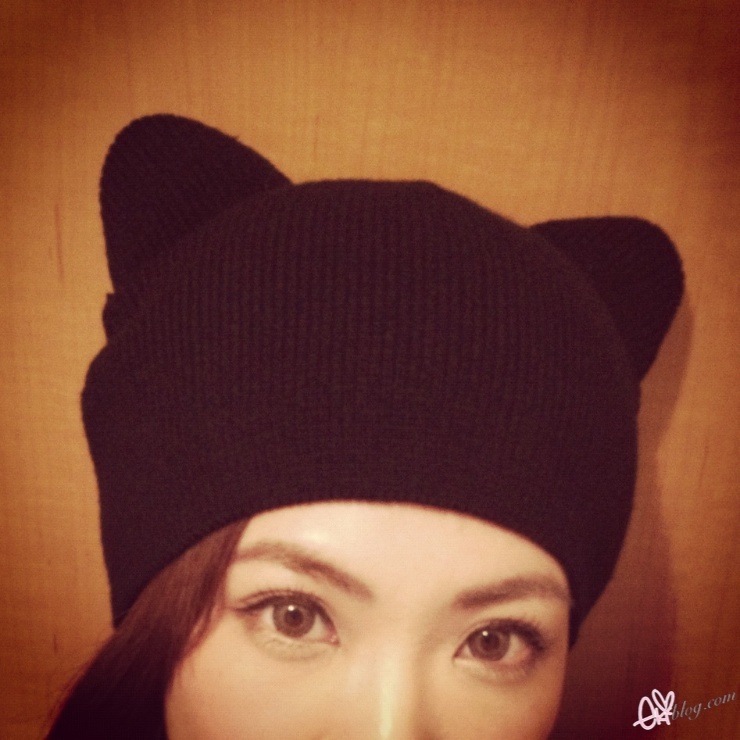 meow V(=^･ω･^=)v so kawaii ~ I really want cat ear hat so badly.